Tax Justice Network: If Ireland is not a tax haven, what is it? 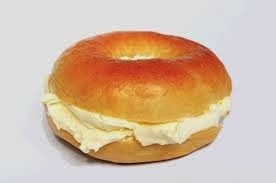 A bagel? From the Treasure Islands blog, reposted with permission. Ireland continues to annoy me. Not Ireland the country, of course: it's just the tax haven industry that has grown up there. It annoys me because there are so many influential voices there that deny Ireland is a tax haven. All tax havens deny being tax havens, but Ireland seems to have taken it to extremes of huffing and puffing: a veritable industry of tax haven deniers has grown up there. I guess it is the sheer scale of the dishonesty that riles me. “Skittish financiers dislike places that are chaotically corrupt, as do onshore regulators. Secrecy jurisdictions steeped in sleaze confront this by putting on a strenuous performance of rectitude, a theatre of probity that involves repeatingly projecting the essential message – ‘We are a clean, well-regulated, transparent and cooperative jurisdiction’ – burnished by carefully selected comments and praise from toothless offshore watchdogs." "It would be hard to overstate the importance of reputation in international tax. Cross-border tax planning involves extremely arcane and technical rules that only brainy experts can understand. But the opinion of regular people matters, too. If, as in the United Kingdom, the general public perceives that corporations are abusing tax rules, then democratically elected governments may have to stop pandering to footloose multinational businesses and start cracking down on them. And as much as corporate CEOs fear reporting lower after-tax profits to Wall Street, they fear even more that their company’s name will appear in a Wall Street Journal article implying that they’re not paying their fair share. No jurisdiction, except perhaps Bermuda, has more at stake per capita in the international tax game than Ireland. Again, reputation is central. Corporate boards and CEOs don’t want their prestigious brands smeared by association. They cannot have their regional headquarters located in a jurisdiction that–whether fairly or unfairly–has obtained a reputation for less-than-aboveboard business dealings. The label “tax haven” implies sunny beaches and shady business. If Ireland wants to continue to attract investment by the world’s most respected companies, it desperately needs to avoid the tax haven label. It must also avoid incurring the wrath of the citizenry of the European Union, who want Ireland to stop using low-tax rates to steal jobs and investment from their countries." "Irish politicians, business leaders, and newspapers are ardent defenders of the country’s corporate tax regime. And any hint that you think Ireland is a tax haven will set off a storm of protest. They point out that Ireland does not meet the OECD’s definition of tax haven. Well, that’s a low standard if there ever was one." Look back at that paragraph from Treasure Islands, and see how close that is to the above paragraph. Not only that, but look how close this is to the 'captured state' phenomenon I describe in the 'Ratchet' chapter of Treasure Islands, or in my more recent work on the Finance Curse. And there are some remarkable further insights and research into the theatre of probity, from the horse's mouth, here. And if you want to know how Ireland became a tax haven, read this sorry tale.